The persecution suffered by the Baha’i community of Iran since the Islamic Revolution in 1979 has been well documented. 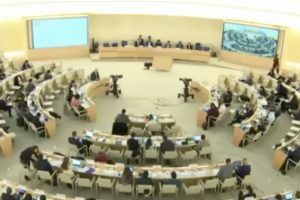 The attack on Baha’i communal life has included destruction of their holy places, confiscation and often destruction of their communal buildings, including cemeteries, and the dissolution by government decree of their administrative structures. As well as these attacks against community property and institutions, there have been many gross abuses of the human rights of individual Baha’is. These have included expulsions from universities and schools, the failure of authorities to pursue and punish those committing crimes against them, and in many cases, imprisonment, show trials and executions. What has not been so obvious to the public eye however is the economic campaign that has been waged against the Baha’i community. This started in a fairly haphazard manner with attacks on obvious communal targets but has in the last few years become much more oppressive, targeting individual Baha’is systematically and in a carefully organised and ominous manner. This economic strangulation of the Baha’i community of Iran can be best considered as having occurred in a number of stages, although it should be appreciated that these stages are not exact and there is a considerable overlap between them. While the stages outlined below depict the principal features of the economic persecution that was taking place at a given time, it should be realised that all of these elements were occurring at other times to a lesser degree. Evidence for the statements made here is provided in the Appendices to this article (see PDF file at foot of this article). The documents presented are not Baha’i accounts but rather official government documents and newspaper publications. It should be appreciated that numerous examples of each episode and type of economic sanction exist and only sample documents have been provided as evidence. Each of the documents in the Appendices could be multiplied many times over. The Islamic Revolution came to a climax in the late months of 1978 and can be said to have been completed in early 1979 when the shah left Iran and Khomeini returned. Throughout 1978, there were episodes of attacks on the Baha’is of Iran, partly by Islamic militants and partly by a government, headed by the shah, trying to demonstrate its Islamic credentials. Once the Islamic revolutionary government had disposed of its democratic rivals and assumed full power, the pace of the attacks on the Baha’i community increased, starting with a full assault on the institutions of the Baha’i Faith. The Baha’i community has certain communal funds that are held at the local, national and international levels. Among them is the Huqúqu’llah (the Right of God), which is considered an individual obligation, although payment of it is voluntary and there is no pressure on individuals to provide it. Huqúqu’llah is paid to the international leadership of the Baha’i community to provide for the needs of the Baha’i community and for social welfare. Baha’i activities at national and local level are paid for by Baha’i funds to which Baha’is – and only Baha’is – contribute voluntarily. In a large community such as that of the Iranian Baha’is, the total of all of the individual local funds and the national fund as well as any sums being held in the country for the international fund and Huqúqu’llah would add up to a large amount of money. All these communal funds were frozen and subsequently confiscated by the Iranian government in the immediate aftermath of the Islamic revolution. By 1979 the Baha’i community of Iran held some 1,000 or more communal properties. These comprised buildings used for meetings and worship, cemeteries, holy places associated with the founders of the Baha’i Faith and a large hospital in Tehran, where people of all religions were treated and the poor were treated for free. For legal purposes, these communal properties were in the name of a holding company called the Trustees Company (Shirkat-i `Umana). Within a few months of the revolution, this company was seized by the new government, its offices raided, its documents and property deeds removed and all of its properties, including the hospital and cemeteries, identified and placed under the control of the government,. The Shirkat-i Nawnahalan, the Children’s Savings Company, began as a savings vehicle for Baha’i children in 1917. As successive generation of Baha’i children grew up, they kept their savings with the company, and local and national Baha’i institutions also placed their deposit funds with it. The offices of this company were raided and taken over in early June 1979 and all of its assets, estimated at $5 million, frozen. Three smaller companies owned by the Baha’i community, the Vahhaj, Matla` and Huqúq companies, were vehicles for holding various types of funds and properties1. The assets of these three and those of the Trustees Company and the Children’s Savings Company were all formally confiscated by the Islamic Republic in verdicts handed down by the Central Islamic Revolutionary Court, Branch 1, on 7 November 1979 (see Appendix 1). This was not just a blow to the Baha’i institutions but also to an estimated 15,000 individual Baha’is who had their savings (in many cases their entire life savings) in the Children’s Savings Company,. Over the next few months the assets of local Baha’i communities around the country, including local meeting halls, administrative offices and Baha’i cemeteries, were seized. This type of activity by the government decreased as the number of communally-owned Baha’i properties it could seize diminished. Since the Baha’i community has been forced to acquire land around the country to use as cemeteries (there are no civic cemeteries; all burials are on land belonging to a particular religious community), however, the seizure of Baha’i properties has continued at a low level up to the present day — from time to time, the local authorities will seize and destroy a Baha’i cemetery, forcing the community to buy another one. All Baha’i administrative and community institutions were banned by the government in a decree issued by the Attorney-General dated 29 August 1983. In accordance with the Baha’i principle of obedience to government, the national and the more than 400 local administrative bodies of the Baha’i community were disbanded. Since the functions of these Baha’i institutions included that of supporting the poor and incapacitated, this removed a major support for those Baha’is who were increasingly being affected financially by government measures. Having removed all of the communally-owned money and assets of the Baha’i community, the Islamic Republic’s government then put pressure on individual Baha’is, insisting that they recant and placing them under financial stress by expelling them from employment. It started with the sector over which it had most control, the public sector. In 1979 a large number of Baha’is in Iran were in public employment. Since the Baha’i Faith emphasizes the importance of education, a sizeable proportion of the Baha’i community was in professions requiring a high level of education. Furthermore, certain areas of public service such as health and education are favoured by Baha’is in view of what the Baha’i scriptures say about these professions. At first Baha’i public employees were put under pressure to recant their religion. Since almost none of them did, they were expelled from their positions of employment. This practice began in 1980 when government officials in all parts of Iran, acting on their own initiative, began sporadic expulsions of Baha’is employed in the public sector, no doubt hoping to gain favour with the Islamic government. And so for example, the newspaper Etela’at of 18 February 1980 reported 50 Baha’i teachers expelled in just one province, Eastern Azerbeijan (Appendix 2); the newspaper Jumhúr-i Islami of 30 June 1980 reported the expulsion of 44 teachers in Fars province (Appendix 3); and Kayhan of 9 August 1980 reported the expulsion of 23 Baha’i teachers in the south coast province for ‘having beliefs contrary to Islam’. Similarly Baha’is were expelled from universities, government hospitals, government offices, museums, etc. 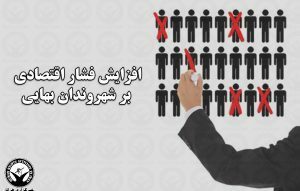 In the above-mentioned announcement of expulsions of teachers in East Azerbaijan and, in some cases, in the documents given to individuals declaring their expulsion, there is the provision that they can be re-employed if they recant their belief (Appendix 4). By a government decree issued on 7 December 1981 and published in the semi-official newspaper Kayhan on 8 December 1981, however, the expulsion of all Baha’is from all government employment became official government policy (Appendix 5). From this time onwards, the expulsion of Baha’is from both national and local government employment was systematically applied and enforced. By July 1982, the Baha’i community was reporting that effectively all doctors, nurses, teachers and other government employees had had their employment terminated and even the pensions of former Baha’i civil servants had been stopped2. It is impossible to know exactly how many Baha’is were dismissed from their employment in this way but the Baha’i International Community (the agency through which the world Baha’i community is represented at the United Nations) estimates that the number of Baha’is expelled from their employment during the 1980s was of the order of 10,0003. Since all health and education provision was effectively nationalized in the course of the Revolution, there was little prospect of dismissed individuals in these fields finding alternative employment. Announcing the expulsion of Baha’is from government employment, Ayatollah Saduqi threatened criminal proceedings against any official continuing to employ a Baha’i4. Also affected by government action were Baha’i peasant farmers who were denied access to the government-sponsored farmers’ co-operatives which were their only source of credit, seed, pesticide and fertilizer. In a bizarre turn in 1984, the Islamic clergy and courts also decreed that an Islamic government should not have paid any salaries to Baha’i employees and therefore that all salaries and pensions paid to such former employees had been illegal and should be repaid by them, even if it involved decades of earnings amounting to large sums of money that no ordinary citizen was likely to have (Appendix 6). The Attorney General then attempted to enforce this decree by issuing summonses against former Baha’i civil servants. Since most Baha’is were unable to repay such large sums, this led to a large increase in the number of Baha’is in prison in the 1980s. The third stage in the economic campaign against Baha’is began in the 1980s but became much more pronounced in the 1990s. As the government and its reactionary clerical backers gained control over ever larger parts of the country’s economy, they began to use their power to exert pressure on private businesses to expel their Baha’i employees. Sometimes this pressure was exerted through local government officials who threatened private businesses with official action if they did not comply and sometimes it was through the attachment of clerics to factories and other businesses, placed there to ensure conformity to the government’s vision of Islamic norms. Such clerics would then stir up the Muslim workers against their Baha’is co-workers. Initially the actions taken against the Baha’is were types of harassment only, such as occurred when the Muslim workers in the Elyaf factory were instigated to demand in January 1982 that the Baha’i employees work in a segregated area and be compelled to bring their own plates to the works’ cafeteria so that they would not contaminate the food of the Muslim workers (Appendix 7). However even as early as 1982, pressure was being exerted on some Baha’is working in factories in towns such as in Kirmanshah either to recant their beliefs or face expulsion from work (Appendix 8). It appears that the initial directive ordering all private companies to expel their Baha’i employees was issued in December 1981 but at that time the government did not pursue this systematically. Once the government had achieved its primary aim of expelling Baha’is from public service in the 1980s, it focussed its attention on private firms. Over the subsequent period, there were increasing reports of businesses and companies being interrogated by the Ministry of Islamic Guidance about their workforce and then being compelled to dismiss their Baha’i workers (see for example Appendix 9, which relates to a travel agency in 1994). There is evidence that all of these measures taken against the Baha’is during Rafsanjani’s presidency, 1989-1997, were not just the random actions of over-zealous officials but part of a planned government campaign. This evidence is in the form of a government decision dated 25 February 1991, drawn up at a joint meeting of `Ali Akbar Hashemi‑Rafsanjani, then President of Iran, and the Supreme Revolutionary Cultural Council, and forwarded to the Supreme Leader, Ayatollah Ali Khamene’i, who has appended his signed approval at the bottom of the document. The document states that `The Government’s treatment of them [the Baha’is] shall be such that their progress and development shall be blocked’ and that `Employment shall be refused to persons identifying themselves as Baha’is’, thus making it clear that the aim was to try to strangle the Baha’i community culturally and economically (Appendix 10). This document was uncovered by Reynaldo Pohl, the United Nations’ special representative on human rights in Iran, and published by him in his report of 19935. The decade of the 2000s began promisingly for the Baha’i community in Iran. Muhammad Khatami, although previously a hard-line cleric, had been elected president in 1997 on a platform of liberalization. It is difficult to assess Khatami’s personal sincerity but the push for change by those around him that accompanied his election certainly gave hope to the Baha’i community. Within a few years, however, it became clear that nothing much had changed under the surface. The hard-line clerics around the Supreme Leader Khamene’i were not going to let control slip from their fingers regardless of the democratic wishes of the Iranian people, nor was Khatami himself going to push for radical change. The tide of reform was quickly pushed back and the Baha’i community was soon facing hardship again (see for example the confirmation in 1999 by a government Board of Investigation of the earlier termination of the employment of a teacher, Appendix 11). Then in 2005, Ahmadinezhad swept to power backed by hard-line clergy of the Hujjatiyyih faction who had always been determined and deadly enemies of the Baha’i Faith. The persecution has returned to a level not seen since the early years of the Islamic Revolution. This time, however, the evidence is that it is much more systematic and thorough, catching any of the few Baha’is who may have escaped notice in government or private employment and now focusing on self-employed Baha’is with small businesses. In the early days of the Islamic Revolution, Islamic revolutionary cadres broke into the National Baha’i offices in Tehran and took away the membership lists that were held there. There is evidence that using these, or by other means, since 2005 an intense effort has been made by the authorities to locate every individual Baha’i, to determine the source of that Baha’i’s income and to try to cut it off. That these measures are centrally planned is evidenced by a government letter dated 29 October 2005 obtained by the United Nations Commission on Human Rights’ Special Rapporteur on Freedom of Religion or Belief, Ms. Asma Jahangir, in March 2006, which, she said, caused her to become ‘highly concerned’ about the situation of the Baha’i community in Iran. This letter, marked ‘Highly Confidential’, is signed by the Chairman of Command Headquarters of the Iranian Armed Forces and addressed in the first place to the head of the Armed Forces of Iran but copied to the Police, the Intelligence Services and the Revolutionary Guard. It states that, in accordance with the instructions of the Supreme Leader, Ayatollah Khamane’i, ‘all of the activities’ of the Baha’i community ‘including political, economic, social and cultural’ activities should be monitored and a ‘comprehensive and complete report’ should be compiled ‘for the purpose of identifying all of the individuals’ of the community (Appendix 12). The authenticity of this letter is confirmed by evidence that, from this time on, instructions have been given to provincial governors to monitor and manage the social and economic activities of all Baha’is (see the letter from the Ministry of the Interior, dated 19 August 2006 to offices of the governors of all provinces, Appendix 13). There is also evidence of the government and its agencies compiling lists of Baha’is locally; see for example the letter dated 2 May 2006 from the Trades, Production, and Technical Services Society of Kirmanshah to the Union of Battery Manufacturers, which requests `a list of the names of those who belong to the Baha’i sect and are under the jurisdiction of your union’ (Appendix 14). 1. All businesses in the categories of culture, advertising and commerce. Eleven examples of these are given: newspapers and periodicals, jewellery and watchmaking, coffee shops, gravures, the tourist industry, car rentals, publishing and bookselling, hostel and hotel management, tailoring training institutes, photography and film recording, Internet gaming, computing and Internet cafés. 2. All businesses connected with food where the Baha’is might contaminate the food of Muslims (Baha’is are regarded as ritually impure such that even touching food renders it impure for Muslims). Examples given under this category are: catering at reception halls, buffets and restaurants, grocery shops, kebab shops, cafés, butchers, supermarkets, ice cream parlours, fruit juice and soft drinks shops, pastry shops, coffee shops. 3. All businesses where the Baha’i owner is successful and the business is highly profitable. As a result of these and probably other orders that have not come to light, during the course of 2007 the pressure on smaller Baha’i businesses intensified and a large number of Baha’i businesses in all parts of the country (Abadan, Abadeh, Gorgan, Hamadan, Isfahan, Kashan, Kerman, Khorramshahr, Khorramabad, Mashhad, Sanandaj, Semnan, Shiraz, Tehran, Boroujerd, Aligudarz, Arak, Marvdasht, Shahre Kord, Ardebil, Jolfa, etc.) were forced to close either by refusal of licenses, withholding of supplies, boycotts or eviction from premises (Appendix 16). Where Baha’is were in business in partnership with Muslims, the business has been put under pressure until the Baha’i has been forced out of the company. As well as urban businesses, Baha’i farmers have had their farms and orchards forcibly occupied, their crops seized and their property confiscated. They cannot get supplies for their farms and cannot sell their produce. Many Baha’i peasant farmers in small villages have been forced to leave their villages and their livelihood behind and move to the cities. This has even occurred in villages where Baha’is were the majority of the population. Entire villages have been cleared of Baha’is in acts of ‘ethnic cleansing’ reminiscent of what occurred in Bosnia. The Baha’i villagers are then forced to move to cities where they exist as refugees, dependent on the charity of other Baha’is. Previously this had occurred only in villages where there were known to be a large number of Baha’is, but since 2005 it has become much more systematic, affecting villages with either large or small Baha’i populations (Appendix17). In many other ways that are difficult to document, government authorities and agencies are harassing Baha’i businesses: creating innumerable unnecessary obstacles for Baha’is in business, such as sending them from one office to another (or to offices that do not exist) to obtain or submit business‑related documentation; repeatedly ‘losing’ the files of Baha’i business owners; dealing harshly with Baha’is; entering Baha’i‑owned business premises and confiscating equipment; requiring Baha’is to fill in forms that request detailed personal information about themselves and other family members; placing pressure on Muslims to annul contracts they have with Baha’i‑owned businesses; and sealing business premises, sometimes for weeks. Banks, under orders from the Intelligence Ministry, refuse to issue loans to Baha’is and Baha’i businesses even though they fulfil all the eligibility criteria. In what may be a deliberate policy to create distrust and disunity among the Baha’is, government authorities are inconsistent in their policies towards them, sometimes giving one Baha’i a license or permission for an activity and refusing the same to another. Where Baha’is, having no other means of earning money, have rented out their properties, tenants have been told that the rent should not be paid to their Baha’i landlords but to government agencies. The regime in Iran seems determined to cut off every avenue for the Baha’is to earn a livelihood, thereby hoping no doubt either to force the Baha’is to convert to Islam or to leave the country. In addition to the above staged economic campaign against the Baha’i community, persecution of the Baha’is in various forms has continued throughout the whole of this period from 1979 to the present day, although the persecution has become much more intense and systematic since the election of Ahmadinejad as President in 2005. The steady stream of petty harassment, attacks on homes and property, fines, periods of imprisonment and denial of justice in the courts disrupt a person’s life, making it impossible for one to earn a living, have financial security or make any progress in one’s profession, trade or business. In recent years, these episodes have become more ominous, with threats painted on the walls of the homes and businesses of Baha’is proclaiming that if they do not close their business or move out of the town, they will be killed. Sometimes these threats have been followed by arson attacks (see Appendix 18). Although it is not possible to link these activities directly to the government, it is nevertheless the case that the government does nothing to protect the Baha’is or track down those responsible for such actions. Attacks on the homes and businesses of Baha’is were a frequent occurrence in the first year after the Revolution but at that time it was mainly a case of criminal elements realising that they could attack Baha’i homes and loot them without any fear of criminal proceedings against them. Indeed, if the Baha’is complained to the police or the courts, they very often were themselves arrested. For example, one or more attacks of this sort occurred in Shahabad, Miyandu’ab, Qasr Shirin, Shishvan, Kita, Abadih, Susangird, Dizaj, Shahmirzad, Rida’iyyih, Tehran, Bihnamir (Mazandaran), Kishih (near Natanz), and Tabriz in just one month, January 1979, and this level of such attacks continued for much of that year. After that, the number of such attacks decreased until 2005 when, following the election of Ahmadinejad, they have started to rise again. Baha’is have frequently been fined merely for being Baha’is or being members of an elected local Baha’i institution. In Shiraz, for example, a Baha’i was fined 100,000 tumans for membership of the local elected council of Baha’is in the city in July 1982 (Appendix 19). This and the financial exactions described above forcing people to repay salaries has been a large drain on the finances of Baha’is. From 1979 onwards, thousands of Baha’is have faced periods of time in prison ranging from a few days to ten or more years. Many have faced repeated periods of imprisonment. In the mid-1980s, there were some 750 Baha’is in prison at any one time with many being kept for a period, released and then rearrested. Such disruption of personal lives meant that many were unable to hold onto their jobs or maintain their businesses. There was a short period of time in the 1990s and early 2000s when the number of Baha’is in prison fell to a very small number but since 2005 and the beginning of the presidency of Ahmadinezhad, the number of Baha’is being arrested has started to climb again. Obviously a Baha’i who is in prison cannot earn money or maintain his business. Also greatly contributing to the barriers put up against Baha’is building a career or pursuing a profession is the denial of access to universities and higher education (Appendix 20). These measures affect not just the individual against whom they are targeted but his or her whole family. It may be argued that by dragging a large section of the population into poverty, the whole of society is affected because Baha’is are consumers too and the whole economy is affected if one section of it is deliberately weakened and impoverished in this manner. During the Iran-Iraq War many items were rationed. Since then, owing to the deteriorating economic situation, rationing of some items has continued and access to them is through ration books that are distributed by the government, and often only through mosques. Baha’is have been denied access to these rationed items (Appendix 21). A major problem for Baha’is is that they have no hope of obtaining justice in the courts. Any Muslim can carry out any crime against a Baha’i including theft, robbery and extortion and then if arrested can plead that the Baha’i has no status in law and therefore no crime can be committed against him. Even murderers have made use of this plea and been freed (Appendix 22). The courts have repeatedly prevented Baha’is from receiving property and other entitlements that pass to them by inheritance. The courts have even prevented a Baha’i whose son died serving his country fighting in the war against Iraq from being legally recognised as his heir (Appendix 23). Similarly a war veteran who suffered considerable disability as a result of the defence of his country in the Iran-Iraq War was denied, on account of being a Baha’i, the disabled war pension that was his right (Appendix 24). The evidence presented in this article demonstrates that since the Islamic Revolution of 1979 in Iran, the Baha’i community there has been the victim of a sustained and now systematic campaign of economic strangulation. Evidence has been given of the expropriation of all of the communal assets of the community early in the course of the Revolution. Once that was completed, attention was turned successively to expelling Baha’is first from government employment and then from private sector employment. Since 2005, the focus has turned to self-employed Baha’is and Baha’i-owned businesses, the only avenue for earning an income now left to Baha’is. These businesses are being boycotted, their licenses to operate are not being renewed and the supplies they need in order to continue to operate are being cut off. Evidence has been presented that this persecution is not the random action of over-zealous officials but rather a centrally-planned and systematic campaign directed from the very highest levels of the government. The aim appears to be to cut off every avenue for the Baha’is to earn their livelihood in Iran. In addition, other measures such as imposing fines, destruction and looting of Baha’i homes and businesses, arbitrary expropriation of property, denial of access to education and repeated periods of imprisonment drain the little remaining money that individual Baha’is possess, prevent Baha’is from developing the knowledge and skills necessary for paid employment and disrupt their ability to build a career or pursue a profession. This systematic campaign is clearly `a crime against humanity’ as defined by the Rome Statute of the International Criminal Court (Part 2, Article 7, 1.h): `Persecution against any identifiable group or collectivity on political, racial, national, ethnic, cultural, religious, gender . . . or other grounds that are universally recognized as impermissible under international law, in connection with any act referred to in this paragraph or any crime within the jurisdiction of the Court.’8 It could even be considered an act of genocide under the same Statute (Article 6.c): `Deliberately inflicting on the group conditions of life calculated to bring about its physical destruction in whole or in part.’9 Those participating in these actions against the Baha’is of Iran and especially those in charge of such actions could be prosecuted under this statue. 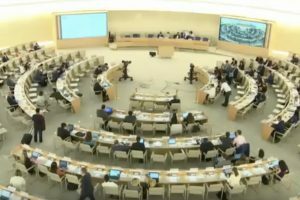 It is surprising that the international community has paid little attention to the situation of the Baha’is in Iran, despite the existence of such bodies as the International Criminal Court which have been specifically set up to prevent governments committing such abuses against their own people. 1. The Huqúq Company was created for property, valuables and money given by Baha’ís in relation to the above-mentioned Huququ’llah. The Matla‘ and Vahhaj Companies held some of the Baha’í properties. 2. Memorandum of Baha’í International Community `Updating of Minority Rights Group Report “The Baha’ís of Iran”<, dated 23 February 1985. 3. Memorandum `Current Situation of the Baha’ís in Iran, August 1994′ issued by the Baha’í International Community, New York, for the 49th session of the United Nations General Assembly, September 1994. 4. Roger Cooper, The Baha’is of Iran, Minority Rights Report, no. 51, 1982, p. 13. 5. The text of Reynaldo Pohl’s report can be downloaded from: http://bic.org/assets/Pohl%20Iran%20report%20E.CN4.1993.41.pdf. The passage related to the instructions issued after a joint meeting of `Ali Akbar Hashemi Rafsanjani, President of Iran, and the Supreme Revolutionary Cultural Council is on p. 55, paragraph 310. How is a charge of genocide brought before the International Criminal Court for genocide targeted at an ethnic or religious group? What are the mechanics of a brief making it to this legal body? What is happening to the Baha’i’s in Iran mirrors the acts of the Nazi regime during the 1930’s. What is next, concentration camps? How far must people suffer before something is done to legally censure war criminals? I have seen them termed as peace time crimes, but there is nothing peaceful about their actions. It is all about war! War against those who beliefs vary from a man-made orthodoxy– a man-made orthodoxy that in some parts of the Islamic world’s other man-made orthodoxy (ie Wahhabis) consider kafir. It all comes down to what is truth, and what is truth is the realm of God, not of men! Thanks be to God! These souls are thy the Heavenly armies! Assist them, with the Cohorts of the Concourse on High make them Victorious! So that each one of them maybe like unto a regiment that will conquer these countries! Baha’is are dedicated and wholeheartedly committed towards the World Peace. They follow the commandment of the Beloved Beauty, “Baha’u’llah” the founder of the Bahai Faith! They are obidient to the government to whatever country they reside! But Justice prevails! May God enlighten the hearts of all Men! So that they may free these folowers of GOD to people who are captivated from the darkness of ignorance! The Baha’is are pure to serve the world of humanity. They are pure to serve for the good of this world and of the next! God is the Most Glorious! Amen, to the above prayer! I agree with the quotation you have quoted. I understand this is a truth that binds Baha’i’s together because partisan politics and Nationalism divide people. Human rights can be a partisan issue. I don’t think it is a partisan issue to pray that Iranian Baha’i’s suffering is alleviated and that their persecutors cease their activities. Is it political to disagree with a government’s policy because religious brethren are being oppressed? Now oppression can also be a partisan issue. Some people view denying a sect people a right to have religious freedom as simple justice because of their belief system. Some people believe in it is just for capital punishment to occur for heterodox religious belief. Now do I agree with this policy? I disagree with this policy not only because I am a Baha’i’ but because I understand from recent (the Holocaust) and from past history (the Inquisition) that these were anathema to my enlightenment influenced Western mind. These were unjust because these people had value beyond their beliefs whether I agree with their religion or disagree with their creeds, and as a person influenced by Western humanist philosophy I believe that every life is of great worth, and as a person influenced by Christianity that every person a reflection of God. So persecuting people is wrong whether or not I agree with them. Now is it a partisan hope when I wish for some sort of justice for the victims of persecution? Possibly this is true. I am a Westerner whose German-American parents experienced World War II and because of close cultural ties to Germany they were very familiar with political movements in Germany. I can only tell you that I see a parallel between German of the 1930’s and Iran. And this parallel has to do with the persecution and marginalization of religious minorities. I do not agree with this policy because it is anathema to the very core of my being, and I hope that there is some Justice in my perception. “Holy Wrath of God” befalls thee and your bloodied land. Both Mark and Baljit make useful points and I think they are related. On the one hand I think not standing up to injustice, where it is clearly based on prejudice and ignorance, is a form of allowing that injustice to continue. The second point is this: for injustice to continue, all it needs is for good men to be silent. Thirdly, the Baha’i Faith is Divine in nature. Opposition to the Divine puts whoever is oppressing it in a pretty dangerous place. As Baljit points out the “wrath of God” will be witnessed in the near future.